Best Pond Vacuum: Keep Your Pond Clear! The PondLeader Pond Vacuum is our pick for best pond vacuum. Not only this is a powerful model, but it has many helpful features, like an auto-activation/restart setting and four nozzles. 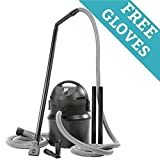 It even comes with a pair of gloves you can use when cleaning with it. [Continue reading] about Best Pond Vacuum: Keep Your Pond Clear! How to Raise Ducks Backyard chickens have long been a popular choice among homesteaders, hipsters, foodies, and those who seek connection with the natural world, but backyard ducks have remained an oddball choice. Most people don't even consider the … [Continue reading] about How to Raise Ducks: The Love of a Duck!